The JDX is temporarily out of stock. Order today and Phantom48 will normally ship in about 7-10 business days. 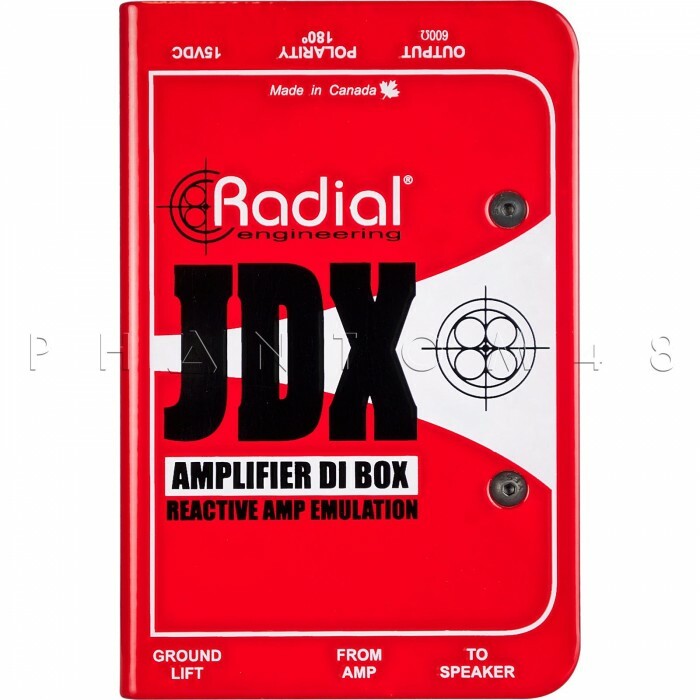 The Radial JDX Reactor™ is a direct box designed to capture the explosive dynamics and warmth of an electric guitar amplifier by connecting between the guitar amp head and speaker cabinet. 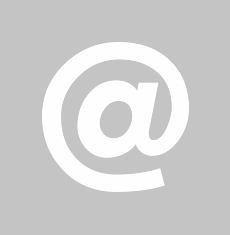 This delivers a sound that is similar to a well placed microphone while eliminating the frustrating inconsistencies. 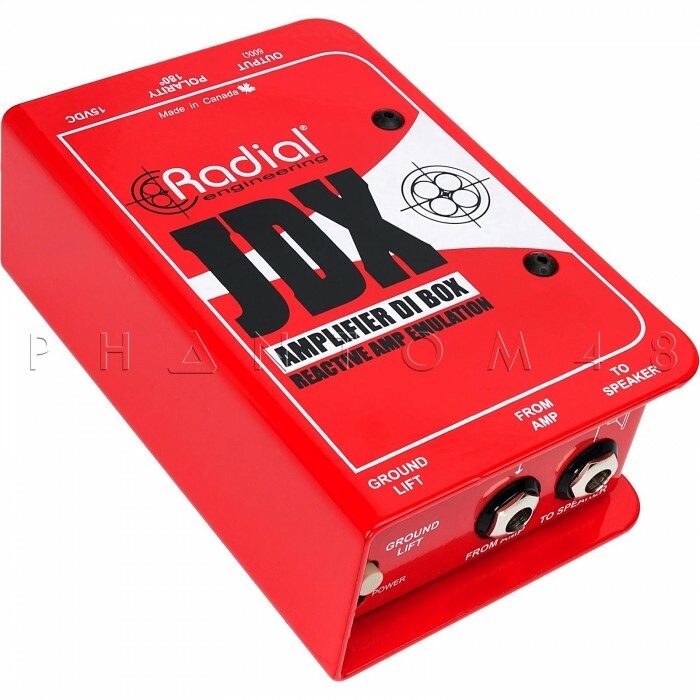 In use, the JDX delivers greater consistency over a typical microphone as irregularities such as mic placement and varying acoustics no longer play the dominant role on stage. This is most appreciated when using in-ear monitors as the tone remains consistent from one show to the next, resulting in shorter setup times and a more comfortable audio feed for the artist. Although originally designed for guitar, the JDX has also become a favorite on bass. The clarity and punch in the lower mid range delivers a tone that is reminiscent of an Ampeg SVT connected to an 8x10 cabinet. On guitar it sounds as if you have a Shure SM57 in front of a Marshall half-stack. 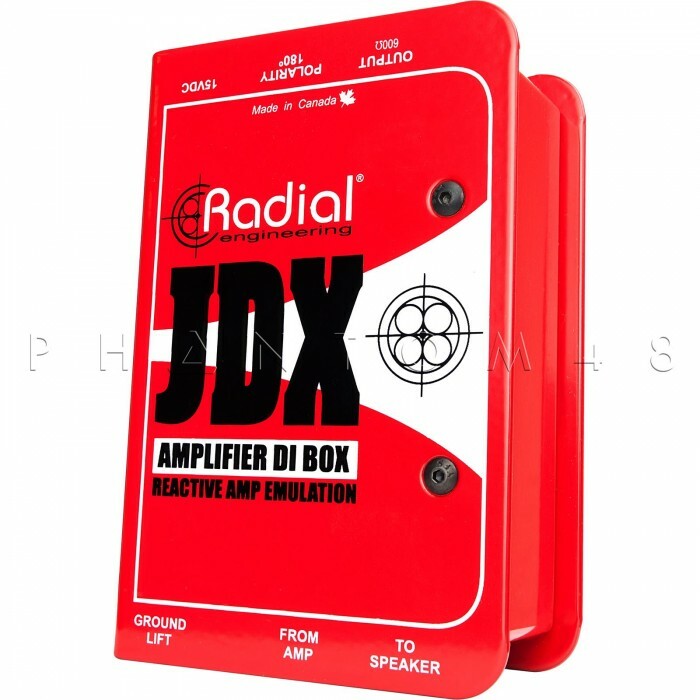 The JDX Reactor is easy to set up, delivers great sound and is consistent. Maximum input: 600W @ 4? 300W @ 8? 150W @ 16?